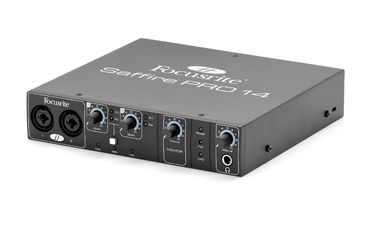 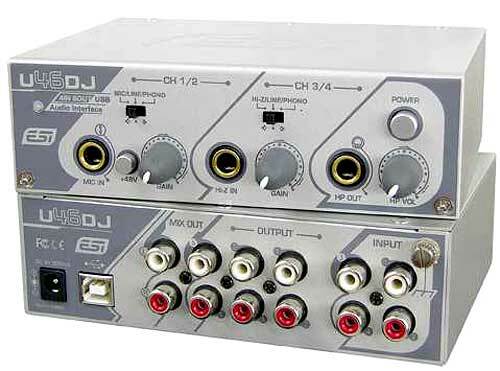 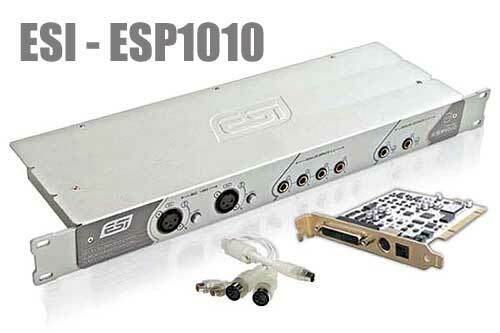 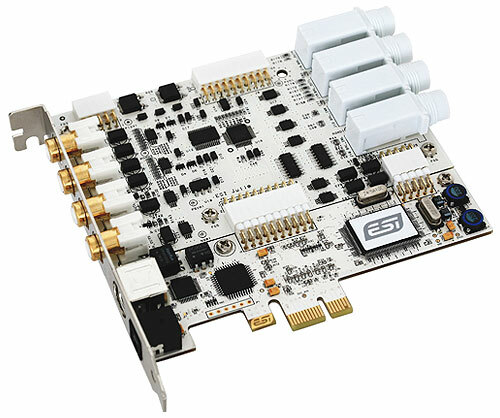 ESI QuataFire 610 , 24-bit 96/192kHz FireWire 6x10 Mobile Recording Interface, 4 channel analog Input (24-bit/96kHz) - 8 channel analog Output (Supports up to 24-bit/192kHz) - 24-bit 96kHz 2 channel S/PDIF [coaxial] digital I/O - 2 MIC/INST Preamps with +48V Phantom Power - 2 port MIDI I/O [32 MIDI channels] - Headphone Amp with volume control - Powered by FireWire bus or external power supply (included)- Windows® XP / MAC OSX compatible. 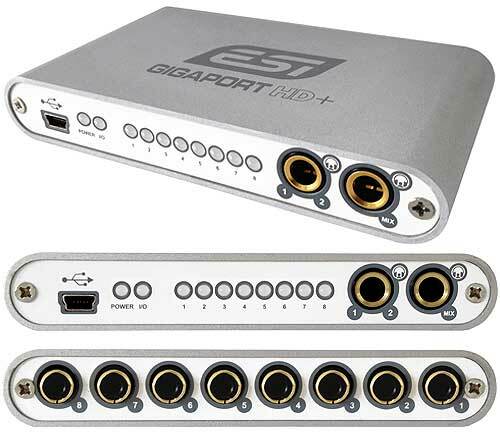 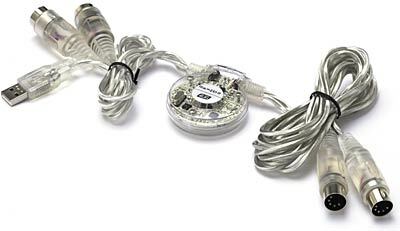 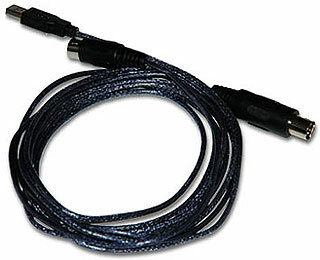 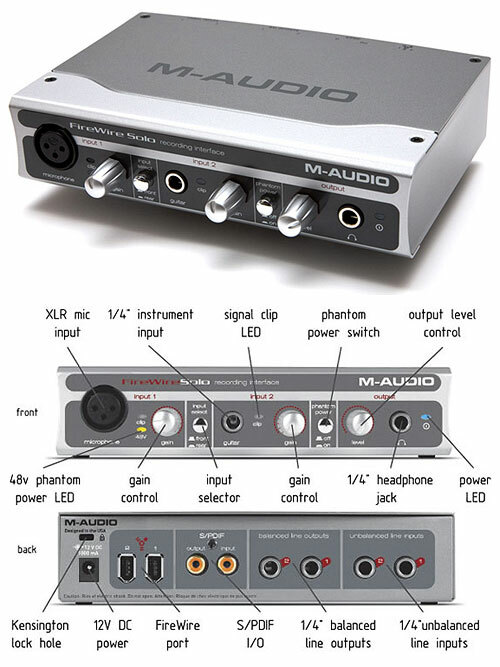 QuataFire 610 is an ultra-compact, FireWire compatible audio/MIDI recording interface. 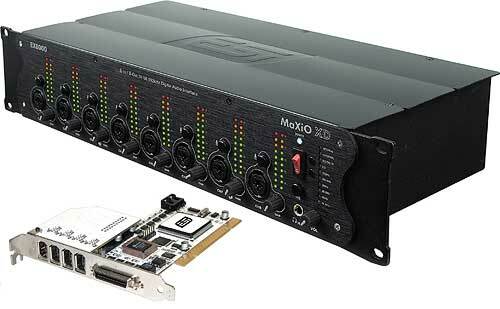 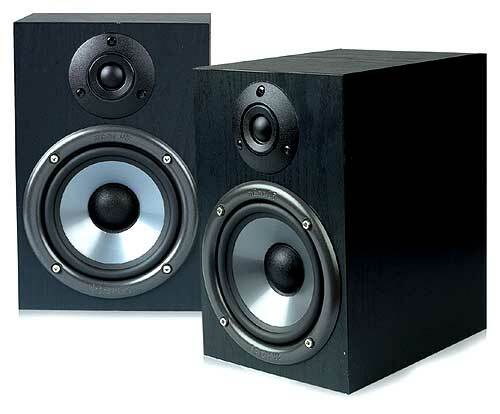 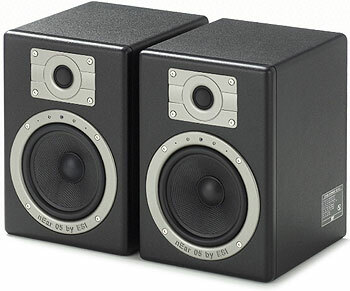 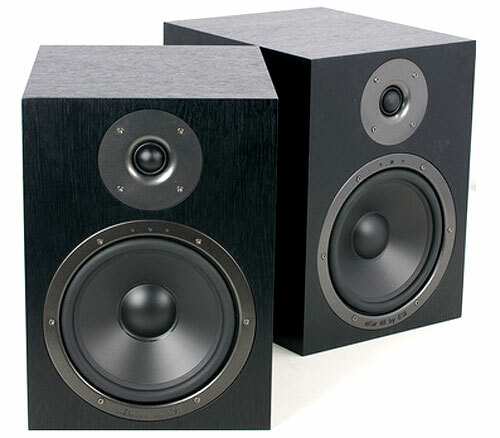 QuataFire 610 offers top quality 24-bit 192 kHz output and 96 kHz input audio performance and its 6-in/10-out configuration offers great flexibility whether you're recording, driving a 7.1 surround sound system, or routing discrete outputs to a mixer. 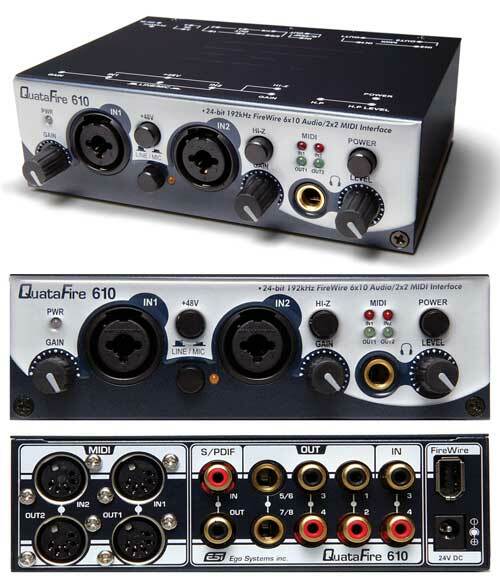 QuataFire 610 features mic/line inputs with built-in preamps and +48V phantom power, individual gain controls, headphone output with volume control, 32 channel MIDI I/O, and S/PDIF digital I/O. 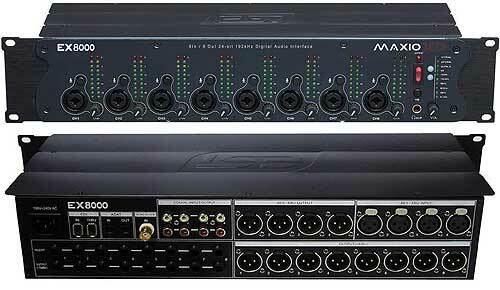 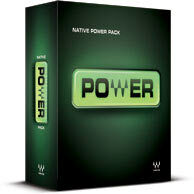 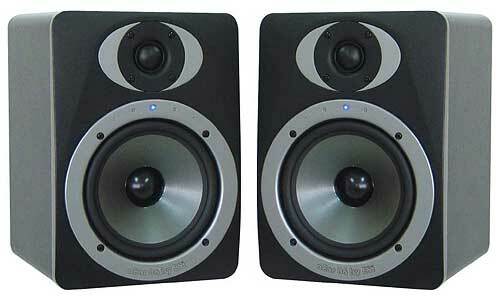 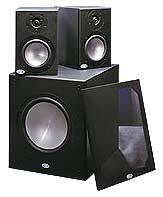 It also allows you to monitor your inputs through the internal digital mixer for direct monitoring with zero latency.